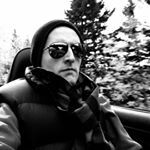 Interested in starting up a new luxury automaker? In days gone by, the obvious first step was a roadster or small sports sedan. In 2010, a good first step would probably be a small crossoverish SUV. All but one of the vehicles in the Graph below posted sales improvements this April. 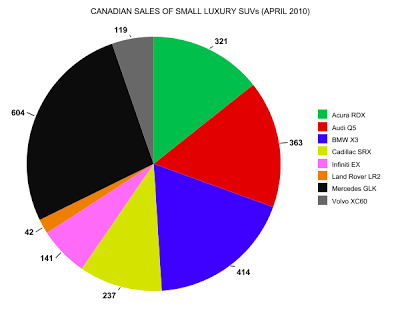 Only the Land Rover LR2 (down 16% in Canada from April 2009) failed to improve in April of 2010. So a small segment it may be, but a small segment that’s growing. Sales of the Mercedes-Benz GLK trailed only the C-Class among Benzes. Likewise the Audi Q5 was the second best-selling vehicle for Audi Canada in April. The Acura RDX, Volvo XC60, Cadillac SRX, and Infiniti EX each held the title of second best-selling vehicle for their respective brands in April. 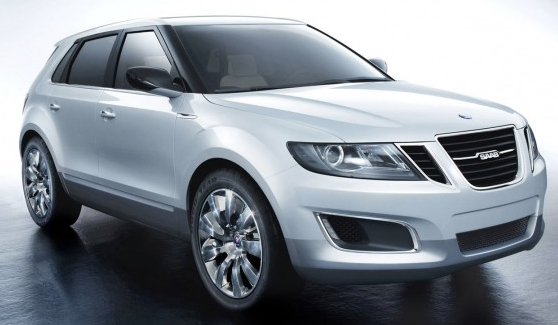 If Spyker-owned Saab can get itself off the ground, don’t be surprised if the 9-4X is one of the more successful Saabs in 2011.